Below you can view all the homes for sale in the Applewood West subdivision located in Golden Colorado. 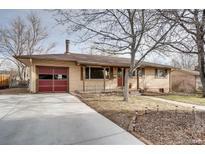 Listings in Applewood West are updated daily from data we receive from the Denver multiple listing service. To learn more about any of these homes or to receive custom notifications when a new property is listed for sale in Applewood West, give us a call at 720-580-6937. The ambiance of old and new! MLS#5871222. RE/MAX Professionals. Call now to schedule your personal showing! MLS#7965021. TRELORA. Short commutes to Denver, Boulder etc. This one won't last! MLS#6931873. RE/MAX ALLIANCE. A short commute to Longmont, Denver, Boulder or beyond. Don't miss your opportunity. MLS#9973648. RE/MAX Masters Millennium. Conveniently located to all that Applewood has to offer such as wonderful dining options within walking distance, Jeffco schools, shopping at Colorado Mills, recreational facilities, and highway access. MLS#9467686. RE/MAX ALLIANCE.